Attention blondes and brunettes! 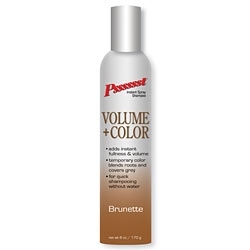 Don’t have time to touch up those pesky grey roots, then temporary blend and cover with Psssssst Volume + Color. The original dry shampoo now adds color and volume until your next wash, while removing dirt, oil and odor from hair without using water. Available at drugstores nationwide, $7.99.